Large and early with a full range of colors. The Atlas series was the most winter hardy and early large pansy in our trials. This mix contains a full range of colors; pure primary tones, pastels and bicolored faces. Flowers are 2" across on 6" tall plants. Pansy seed should be sown early indoors and transplanted outside after frost. Sow indoors 12 weeks before the last heavy frost using a seed starting kit. Pansies can take a light frost. They may also be started late summer for fall blooming. Sow seeds thinly and evenly in seed starting formula. Cover completely as seeds need darkness to germinate; firm lightly and keep evenly moist. Transplant hardened-off seedlings to the garden after the heavy frost. Select a location in full sun with good rich moist organic soil. In areas with hot summers, you may want to plant pansies in partial shade. Set level with the surrounding soil. Fill with soil to the top of the root ball. Press soil down firmly with your hand leaving a slight depression around the plant to hold water. Be careful to not disturb the roots as nasturtiums can resent being transplanting. Deadhead, or pick the flowers frequently, to keep them blooming. Pinching the growing tips of plants can encourage bushiness. Fall planted plants will bloom until there is a hard frost. They will reappear in spring and may die back in the heat of the following summer. Pansies are perfect for the front of beds, borders, rock gardens, and edgings. 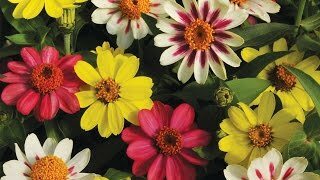 They also look beautiful in small bouquets, as well as patio containers and window boxes. Pansies do not like high heat and may need to be replaced with heat loving annuals after their summer bloom. Pansy, Atlas Mix is rated 2.7 out of 5 by 3. Rated 3 out of 5 by Mav22 from Germination stats Review to date based on germination for 2014. Started 35 seeds on heat mat under grow lights in coir medium. Germination 30 of 35. Germination 85%.